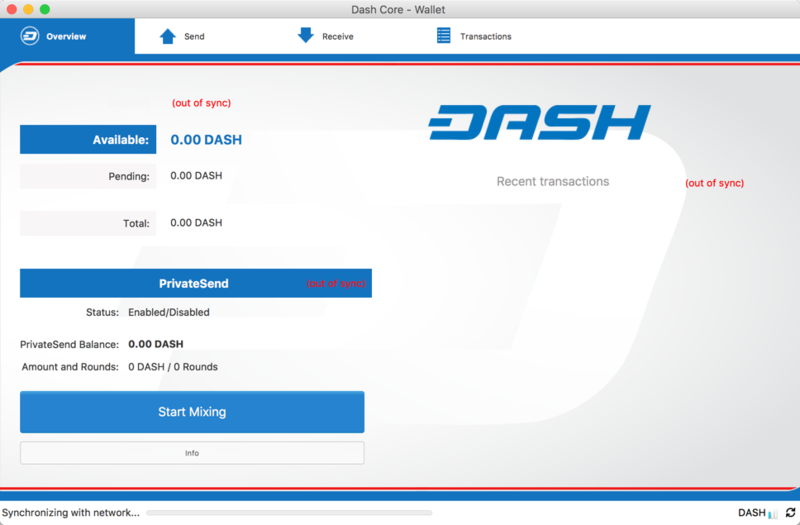 This guide describes how to download, install and encrypt the Dash Core wallet for macOS. The guide is written for macOS Sierra, but the steps should be similar for other versions. If detection does not work, you will need to manually choose your operating system. Go to https://www.dash.org/downloads and select the macOS tab, then click Download Installer. Save the file you downloaded to your Downloads folder. Once both the Dash Core file and the hash file have downloaded, double-click the hash file or view it in your browser and find the hash value for the Dash Core file you downloaded. 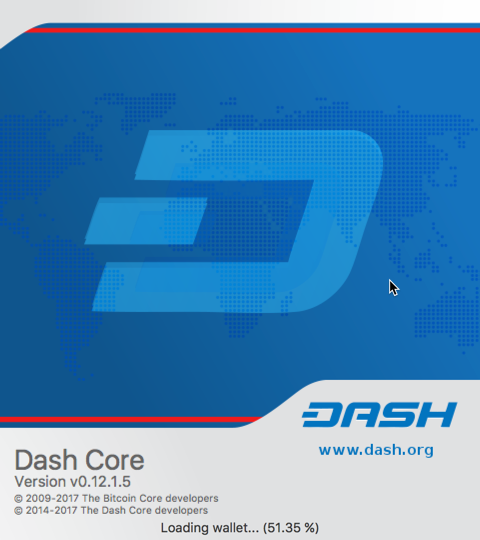 If the hashes match, then you have an authentic copy of Dash Core for macOS. Open Finder and browse to your Downloads folder. Then double-click on the .dmg file you downloaded to decompress it. A window appears showing the contents of the file. 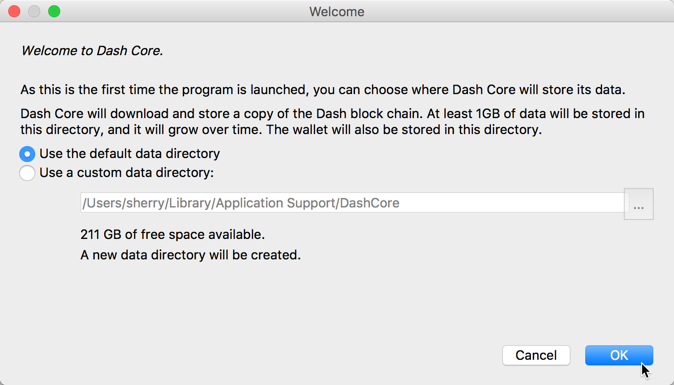 Drag the Dash Core application file into your Applications folder to install Dash Core. 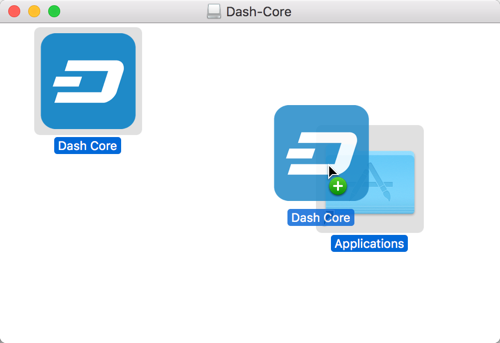 To run Dash Core for the first time, either open Launchpad or browse to your Applications folder in Finder. 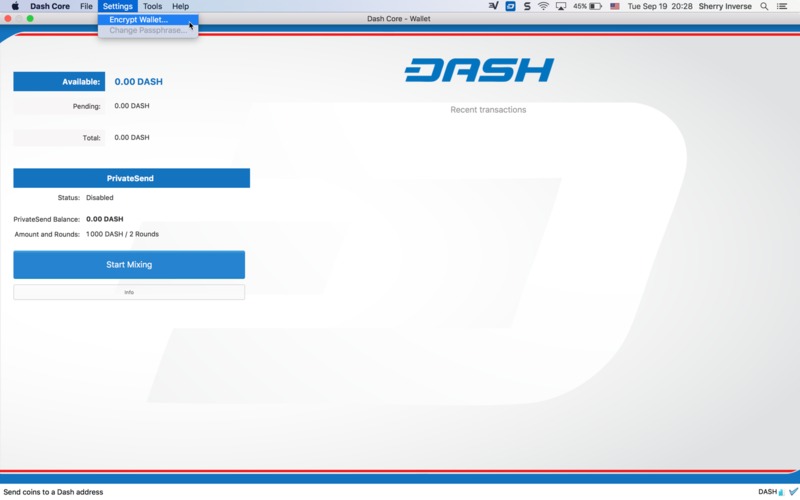 Double-click Dash Core or Dash-Qt to start the application. You may see a warning about opening an app from an unidentified developer. To resolve this problem, simply Control-click the app icon and choose Open from the shortcut menu, then click Open again in the dialog box. The app is saved as an exception to your security settings, and you can open it in the future by double-clicking it just as you can any registered app.